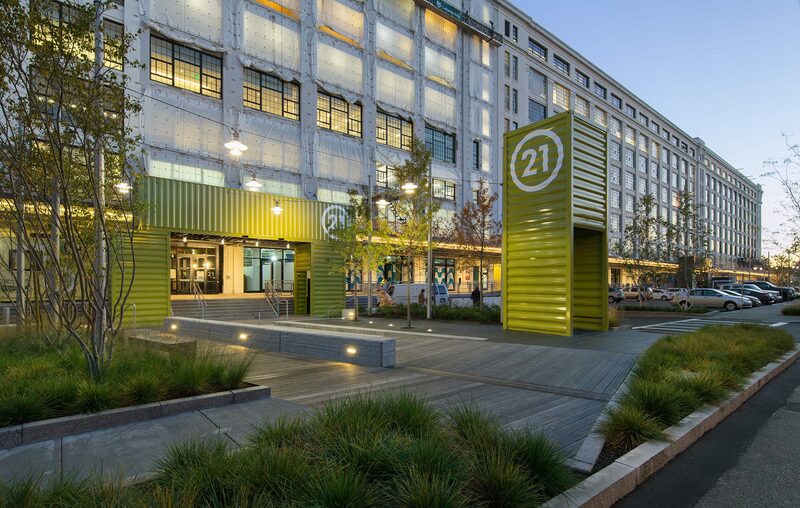 CRJA-IBI Group worked with the project architects on the transformation and enhancement to The Innovation and Design Building. 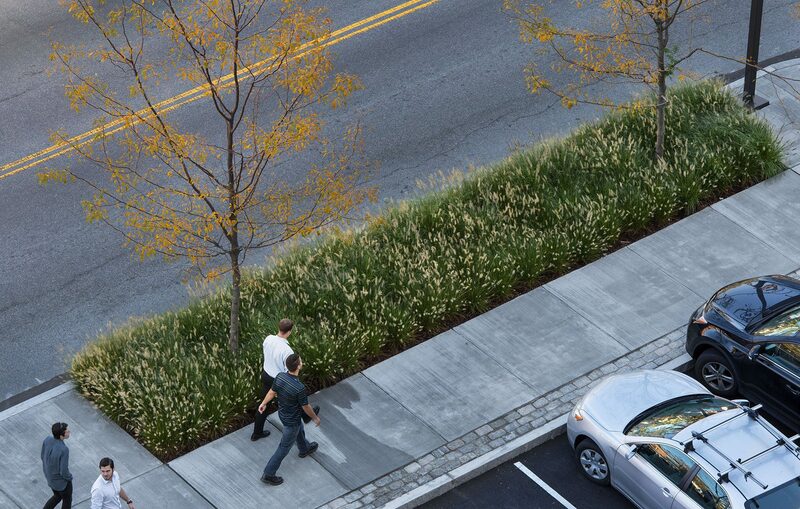 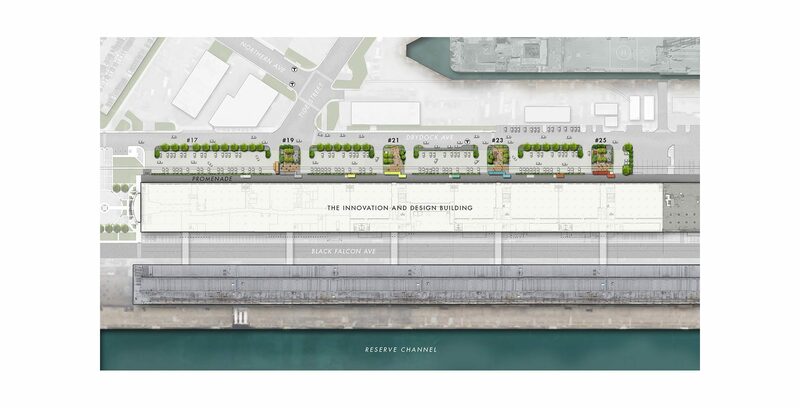 CRJA-IBI Group’s work focuses on the north side of the existing building, primarily associated with four new entry portals and urban parks from Drydock Avenue to the building. 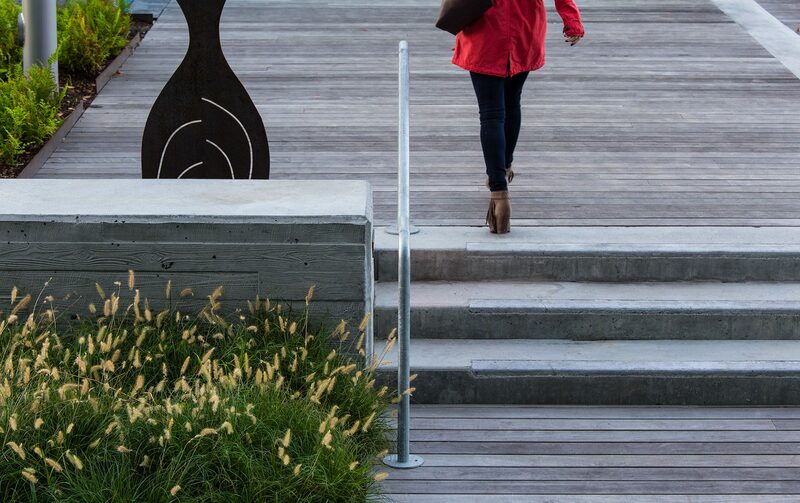 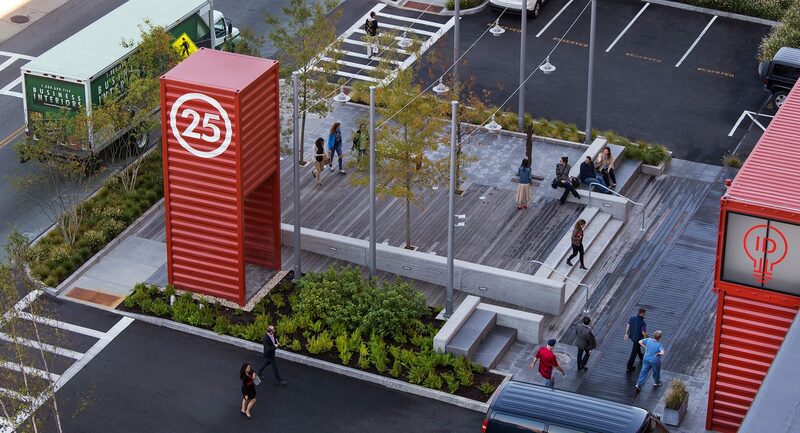 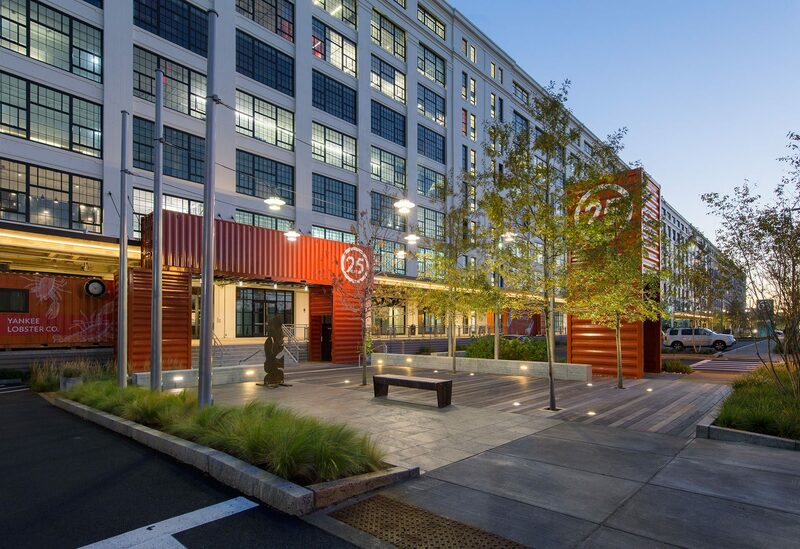 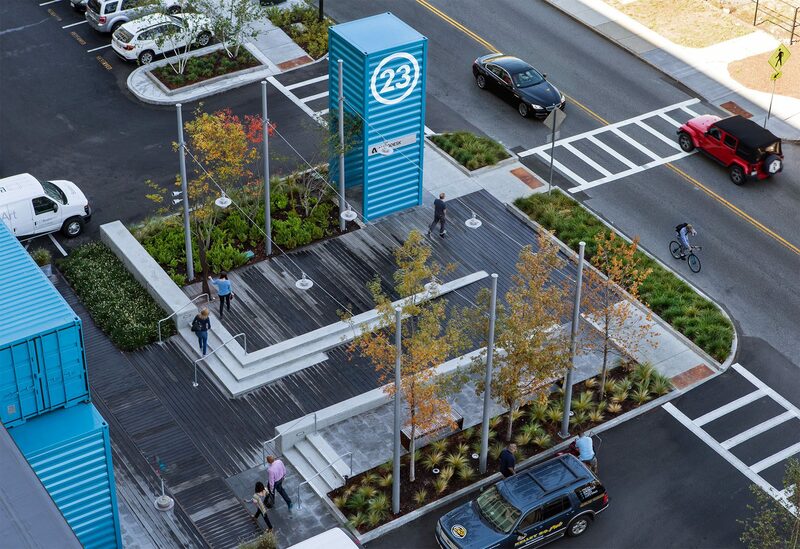 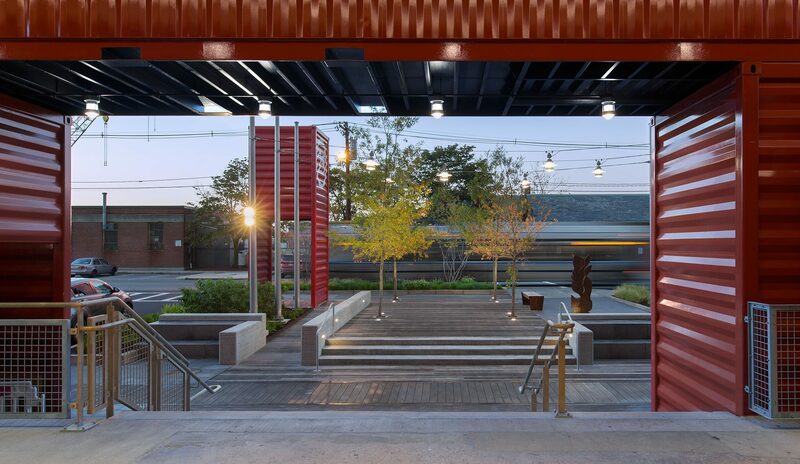 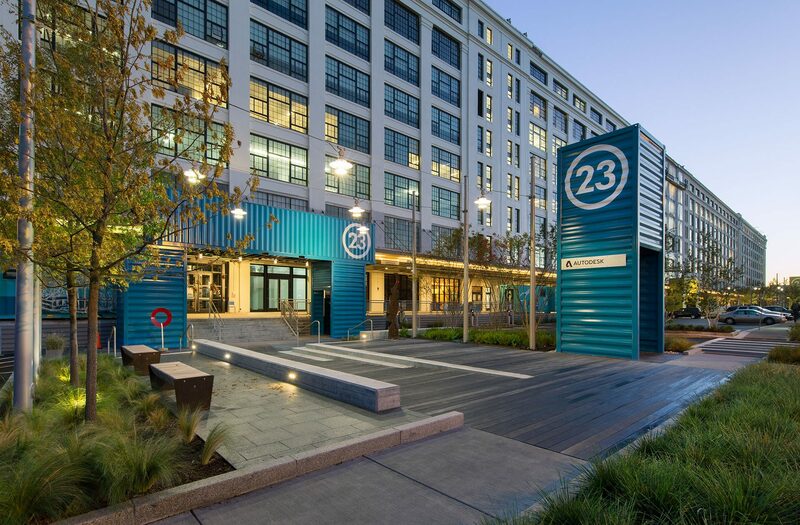 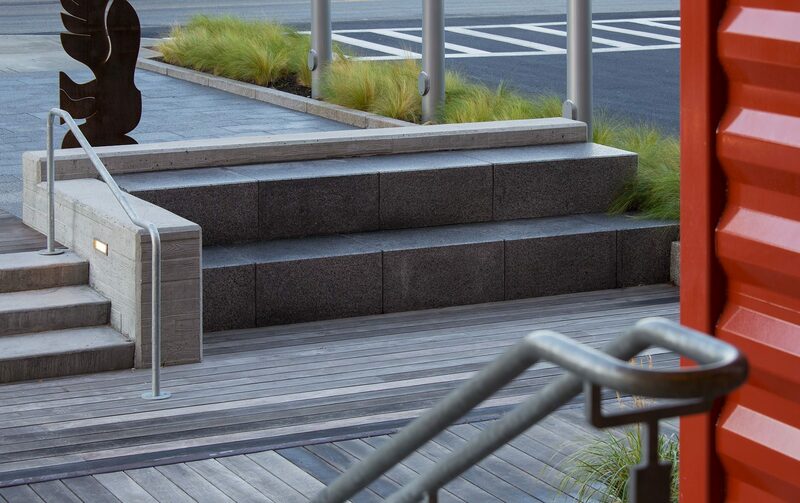 These new gateways employ reused shipping containers to denote the entrances, supported by Landscape Architectural site elements including wood decking, granite pavement, plantings, integral seating, lighting, bike parking, etc. 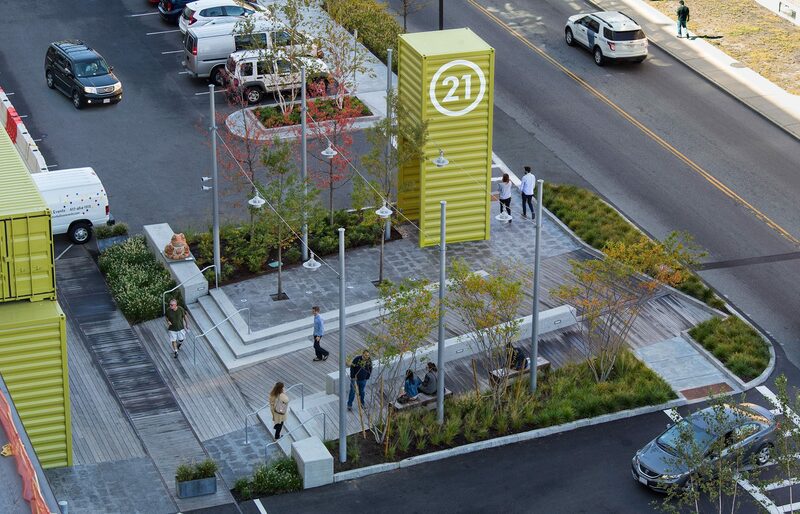 These urban “parklets” provide opportunity for food truck dining, informal gathering and shaded seating off of the primary retail promenade.